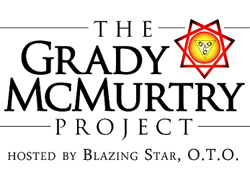 Welcome to the Grady McMurtry Project, hosted by Blazing Star, O.T.O. This website is dedicated to preserving the legacy of Grady L. McMurtry, also known as Hymenaeus Alpha 777. “Hymenaeus Alpha,” a motto given to Grady McMurtry by Aleister Crowley in a letter dated 19 November 1943. The motto enumerates to 777. “The Grady McMurtry Project” takes its name from the “Grady Project” that serialized many of Grady’s poems and other writings in the Thelema Lodge Calendar from 1986—2004. Thelema Lodge was chartered by Grady McMurtry in 1977 and, long after McMurtry’s death in 1985, it continued operating. 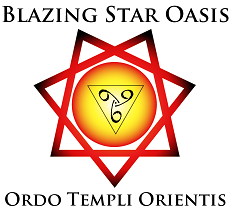 In January 2009, Blazing Star Oasis was chartered and formed by the voluntary unification of three local bodies in the San Francisco Bay Area: Thelema Lodge, Mons Abiegnus Oasis and Therion-Babalon Oasis. Blazing Star Oasis therefore continues the legacy of Thelema Lodge and Hymenaeus Alpha 777. Thank you especially to Bill Heidrick for his support and access to materials from the Thelema Lodge Calendar, and thank you also to BaphoNet in service to USGL. Please contact info[at]blazingstar[dash]oto[dot]org with any comments or questions.